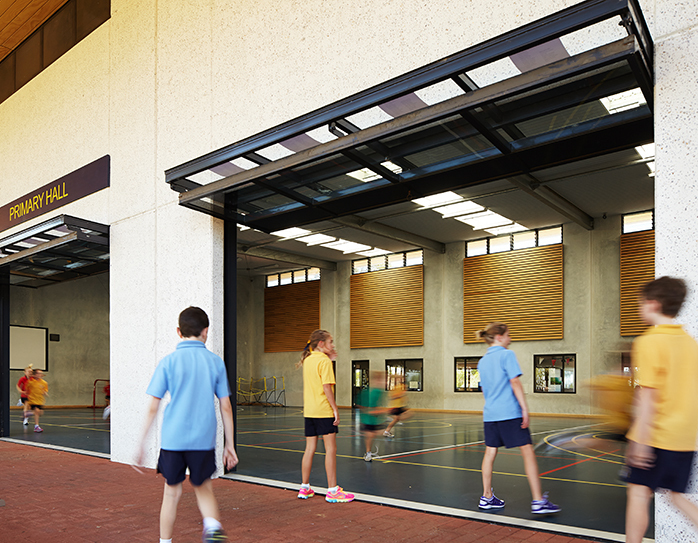 Parry and Rosenthal Architects worked together with Bunbury Cathedral Grammar School in 2009 and 2012, to review and upgrade the campus master plan to accommodate the changing needs of the growing school community. 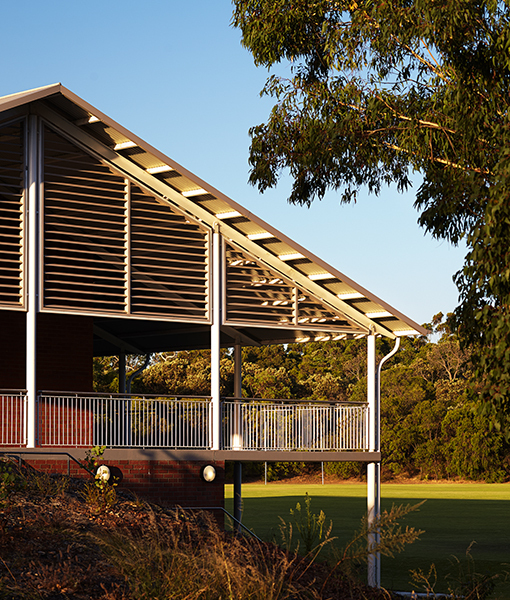 Parry and Rosenthal Architects have since been involved in the design and procurement of a consolidated new Primary Multipurpose Hall, new Sporting Precinct with a new Sports Pavilion and playing fields, new Technology and Enterprise Centre and the upgrade of the existing Arts Centre. 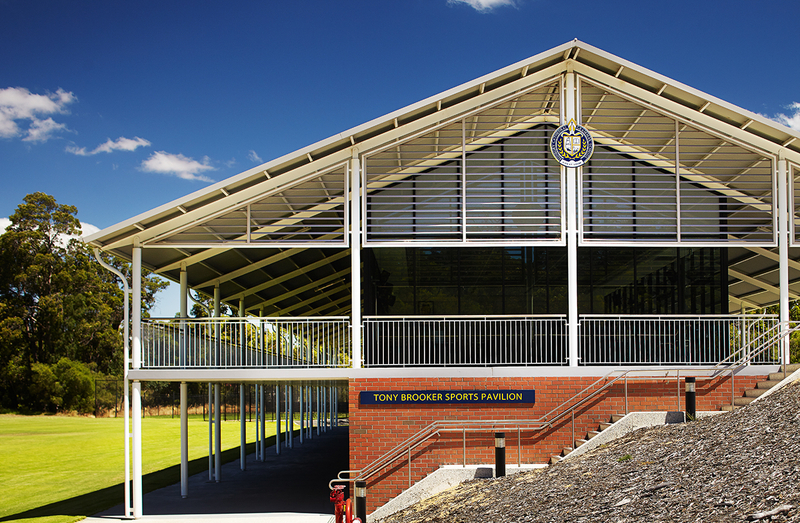 The consolidated sporting precinct includes the provision of a new double storey sports pavilion located between the existing oval and two new hockey and soccer playing fields. 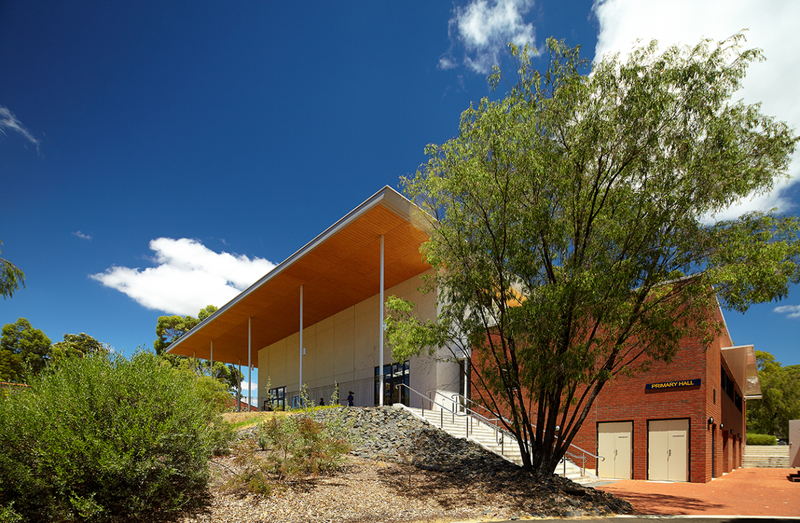 The sporting precinct is designed to allow after-hours access by students and the community for practice or competition events. 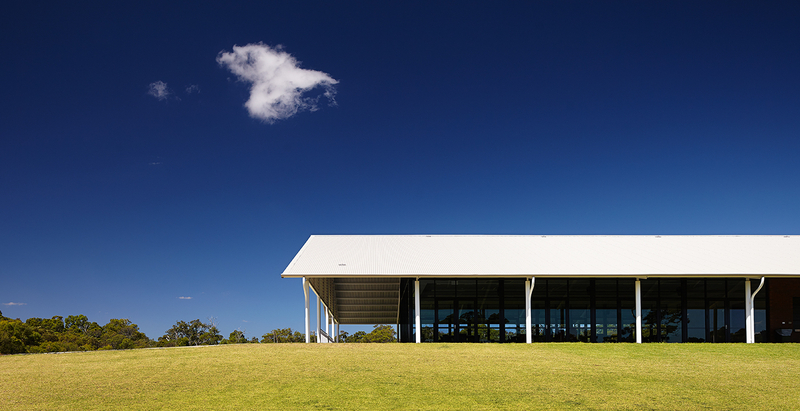 The design of the new sports pavilion addresses the significant level change between the playing fields and the oval, and is deliberately linear to fit between playing fields and to maximise views. 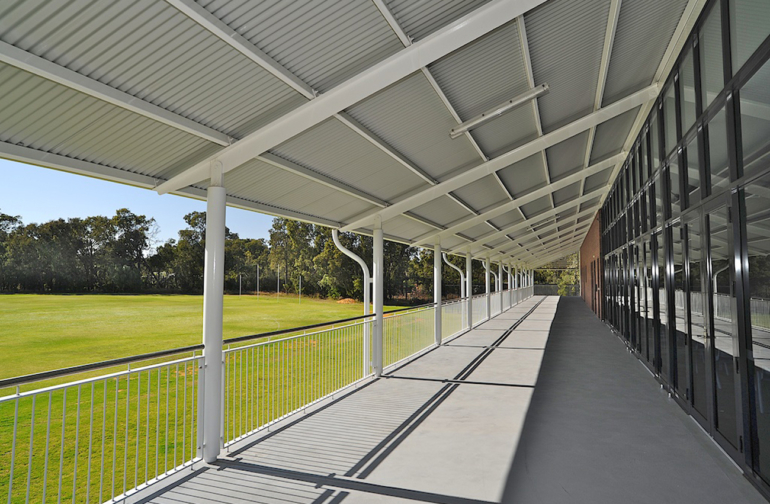 Wide verandahs are provided to the perimeter of the building to offer shelter to spectators and a servery facilitates large functions. 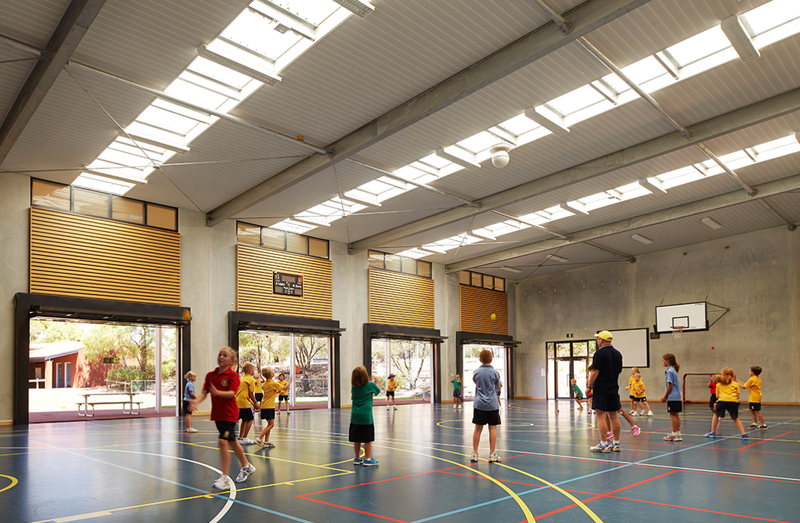 The new Primary Multipurpose Hall accommodates an internal basketball court that is also used as a community gathering space. A double storey wing of supporting facilities flanks the hall, with two multipurpose learning areas and ablutions on the upper level, and store rooms on the lower level. Precast concrete panels and red face brick are used to reference and create a visual link to existing buildings on the site. 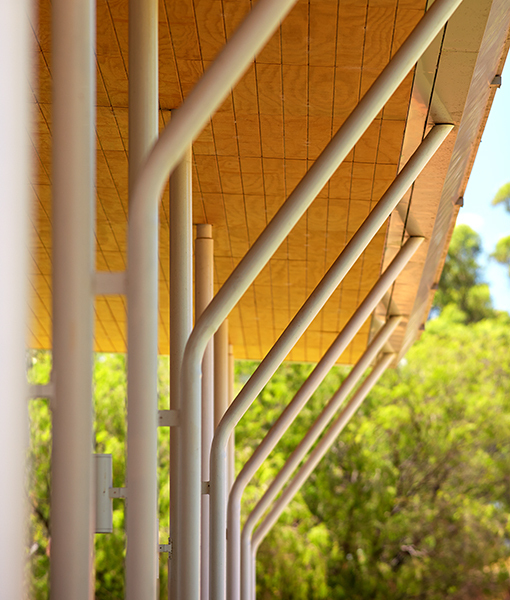 Timber lining to the external soffits soften the appearance of the concrete, and timber panels are provided internally in the hall for acoustic attenuation.